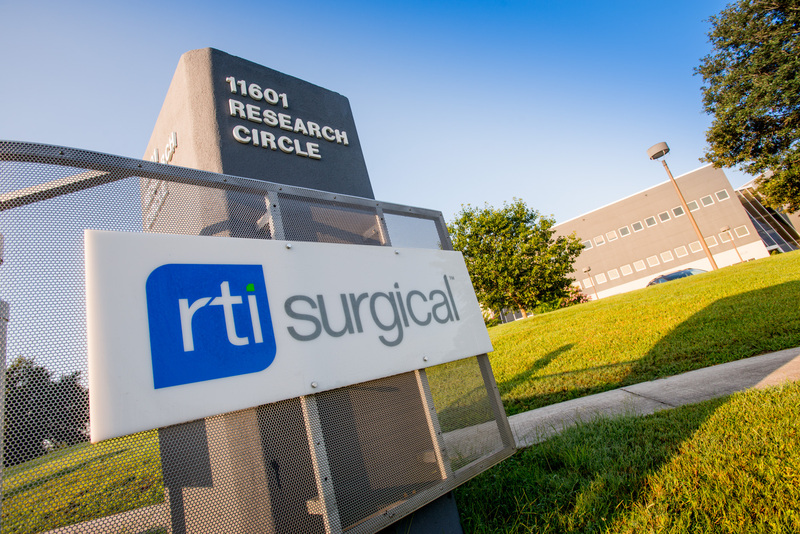 RTI Surgical® Announces 2016 First Quarter Results - RTI Surgical Holdings, Inc. Achieved worldwide revenues of $67.4 million, exceeding company revenue guidance of $65 million to $66 million. Achieved net income per fully diluted share of $0.03, meeting company net income per fully diluted share guidance of $0.03. Achieved worldwide direct revenues of $38.7 million, an 11 percent increase over the first quarter of 2015. Achieved U.S. direct spine revenues of $17.1 million, a 17 percent increase over the first quarter of 2015. Achieved direct international revenues of $5.5 million, an 18 percent increase over the first quarter of 2015. Achieved worldwide commercial revenue of $25.3 million, in line with previously issued guidance for the year. Signed an agreement in February with Oxford Performance Materials, Inc. (OPM) to exclusively license its 3-D printing technology platform and proprietary OXPEKK® polymer to manufacture spinal implants for the U.S. markets. Introduced three new spine products – Unison™-C Anterior Cervical Fixation System, a standalone device for the interbody market, Streamline® TL Spinal Fixation System – Deformity Instrumentation, an expansion of our existing system that provides surgeons with the resources necessary to perform challenging adult deformity cases, and the Release® Laminoplasty Fixation System, a system that allows for central spinal cord decompression from C3 to T3 in laminoplasty procedures. Worldwide revenues were $67.4 million for the first quarter of 2016 compared to revenues of $68.0 million for the first quarter of 2015. For the first quarter of 2015, the company benefited from $1.5 million in non-recurring accelerated deferred revenue recognition due to loss of exclusivity by its commercial distributor in the breast reconstruction market. Domestic revenues were $61.2 million for the first quarter of 2016 compared to revenues of $62.7 million for the first quarter of 2015. International revenues were $6.2 million for the first quarter of 2016, compared to revenues of $5.3 million for the first quarter of 2015. On a constant currency basis, international revenues for the first quarter of 2016 increased 18 percent compared to the first quarter of 2015. For the first quarter of 2016, the company reported net income applicable to common shares of $1.5 million and net income per fully diluted common share of $0.03, based on 58.2 million fully diluted shares outstanding, compared to net income applicable to common shares of $2.9 million and net income per fully diluted common share of $0.05 for the first quarter of 2015, based on 57.9 million fully diluted shares outstanding. For the first quarter of 2015, the company benefited from $0.9 million in net income applicable to common shares, or $0.02 in net income per fully diluted common share, due to the previously mentioned accelerated deferred revenue recognition. Adjusted earnings before interest, taxes, depreciation and amortization (adjusted EBITDA), as detailed in the reconciliation provided later in this release, was $9.1 million for the first quarter of 2016 (14 percent of first quarter 2016 revenues) compared to $10.7 million for the first quarter of 2015 (16 percent of first quarter 2015 revenues). Based on results from the first quarter, the company is narrowing its full year revenue guidance for 2016. The company now expects that full year revenue for 2016 will range from $282 million to $290 million, as compared to prior guidance of $280 million to $290 million. As compared to 2015, the company expects full year direct revenue to range from 16 percent to 18 percent growth and full year commercial and other revenue to range from 13 percent to 16 percent decline. The company continues to expect full year net income per fully diluted common share to range from $0.18 to $0.21, based on 58.8 million shares outstanding. For the second quarter of 2016, the company expects revenue will range from $66 million to $67 million, and net income per fully diluted share, as adjusted, to be approximately $0.03, based on 58.3 million fully diluted common shares outstanding. The company expects revenue growth from its direct businesses to be offset by declines in its commercial business. The above net income per fully diluted common share guidance, as adjusted, excludes expenses expected to be incurred as a result of the contested proxy between the company and Krensavage Partners. At this time, the expenses expected to be incurred as a result of the contested proxy are estimated to be approximately $2.5 million pre-tax, or $0.03 per fully diluted common share, based on 58.8 million shares outstanding. The majority of the $2.5 million pre-tax expense is expected to be incurred in the second quarter of 2016. Due to the inherent unpredictability of a proxy contest, our actual expenditures may differ materially from our current expectations. RTI will host a conference call and simultaneous audio webcast to discuss the first quarter results at 8:30 a.m. ET today. The conference call can be accessed by dialing (877) 383-7419. The webcast can be accessed through the investor section of RTI’s website at www.rtix.com. A replay of the conference call will be available on the RTI website following the call. This communication contains forward-looking statements within the meaning of the Private Securities Litigation Reform Act of 1995, including those statements regarding our fiscal 2016 and second quarter outlook, the proxy contest and the potential costs related to such contest. These forward-looking statements are based on management’s current expectations, estimates and projections about our industry, our management's beliefs and certain assumptions made by our management. Words such as "anticipates," "expects," "intends," "plans," "believes," "seeks," "estimates," variations of such words and similar expressions are intended to identify such forward-looking statements. These statements are not guarantees of future performance and are subject to risks and uncertainties, including the risks described in public filings with the U.S. Securities and Exchange Commission (SEC). Our actual results may differ materially from the anticipated results reflected in these forward-looking statements. Copies of the company's SEC filings may be obtained by contacting the company or the SEC or by visiting RTI's website at www.rtix.com or the SEC's website at www.sec.gov. (1) Contested proxy expenses – This adjustment represent charges relating to contested proxy expenses. Management removes the amount of these expenses from our operating results to supplement a comparison to our past operating performance.